We make it easy, just upload the selfie you want for your UO ID card in advance, and once approved, we will have it ready for you to pick up in the Card Office. Selfies submitted over the weekend will be ready Tuesday morning; selfies submitted after hours will be ready after 1:00 p.m. the next day. If you would prefer not to submit your own selfie, come to the Card Office and we will take one for you. To combat student food insecurity, we are introducing Ducks Feeding Ducks. This new program helps to “feed the flock” by confidentially transferring funds to cash-strapped students via their ID cards. The UO ID card is the official identification card for students, faculty, and staff at the University of Oregon. You will use it to check out books at the library, gain access to the Student Recreation Center, eat at on-campus dining venues, ride LTD buses for free, and more. 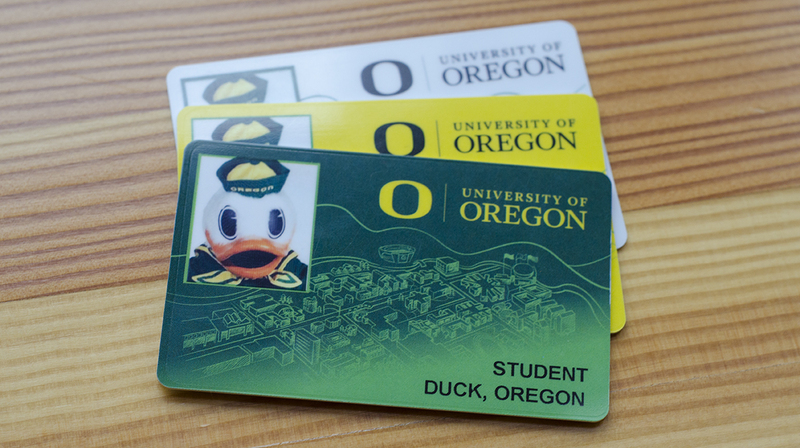 Your UO ID card can also be used as a debit card in the Duck Bucks program. 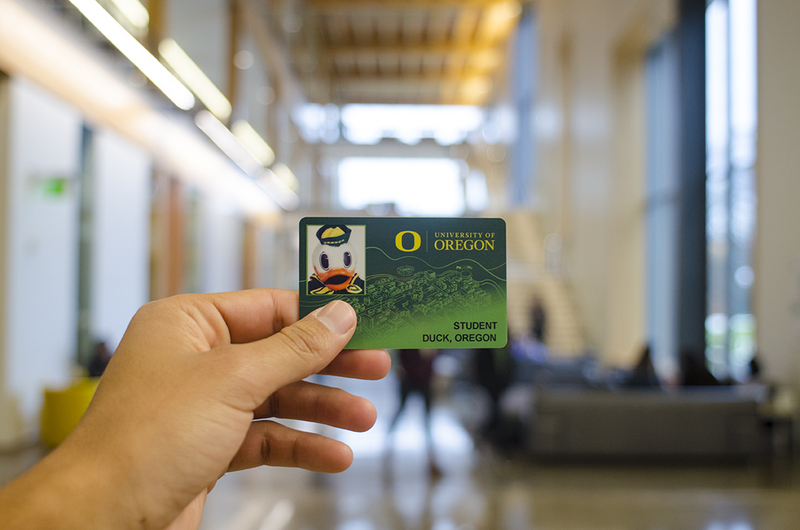 You can use your UO ID card for purchases on campus simply by depositing funds to your Duck Bucks account.